This home had a section of their roof that had several missing shingles. Having missing shingles can be the start to many problems for a homeowner. If you notice your home is missing even one, have it looked at right away before other problems may arise! Shingles had started lifting and a few had blown into the driveway. Our crew was able to go out and secure all loose shingles and replace any missing. This homeowner has had another company replace the siding and trim in the spot of their home where they asked us to look to repair for them as well. We re-adhered the section in question. I have storm damage to the vinyl siding on my house, need estimate for repair or replacement. Our roof and siding have been hail/wind damaged and I would like to get a quote for a replacement for roofing, siding, and gutters. Estimate on damage to roof and vinyl siding due to hail storm. I need to have my roof stripped and replaced. I also need to have someone explain to my insurance company that the hail damage on my siding needs to be replaced. Looking for a quote on a new patio door. 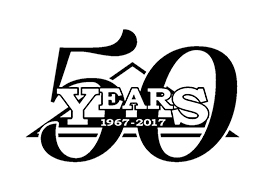 Stan's Roofing & Siding has served the residents of Bolingbrook since 1967 with a wide range of roofing and siding services. Our employees are professionally trained and capable of installing or repairing your roof or siding quickly and efficiently. The front peak has all new wood trim. Water leak coming from fireplace and a 3rd bedroom leak. I would like to schedule a siding repair estimate. We have a leak in our living room ceiling in a corner near the wall. Wondering if it has to do with roof above porch or bay window. When we first moved in 15 years ago had an issue some room different part of ceiling and it was from the builder forgetting flashing under the window. Hi, Does your company handle small siding jobs, and if so, what is your minimum charge? We have a section about 3 ft by 8 ft that needs siding installed, as we recently replaced a sliding glass door with windows, and they built up a knee-wall below the windows. Thank you! Referral from Fran at Basketball Paradise (https://www.bballparadise.com/stans-roofing-and-siding). Storm damage to aluminum siding along roof-line, bay window issue, missing tiles from roof, shutters blown-off. We need a new roof on our house as well as our garage. We have a leak right now.